As the year draws to a close it is appropriate to say ‘thank you’ to everyone who supported the Festival this year – as sponsors, Friends, donors, hosts, volunteers, ticket buyers or in any other capacity. Some say it was the best yet. 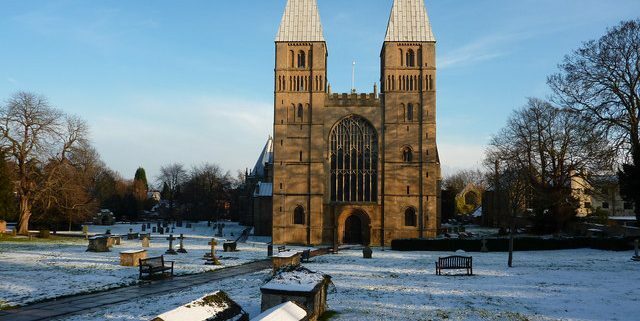 We are looking forward to our Christmas Celebration concert on Friday 21st December at 7.30pm in Southwell Minster. Our brilliant Festival Voices will once again be exploring magnificent music from medieval times to the present day and the distinguished actor Clive Mantle, who made such a moving contribution to our Voices of Remembrance concert in the summer, is returning to provide wonderful seasonal readings. This will be an inspiring prelude to your celebration of Christmas and we hope to see you there. 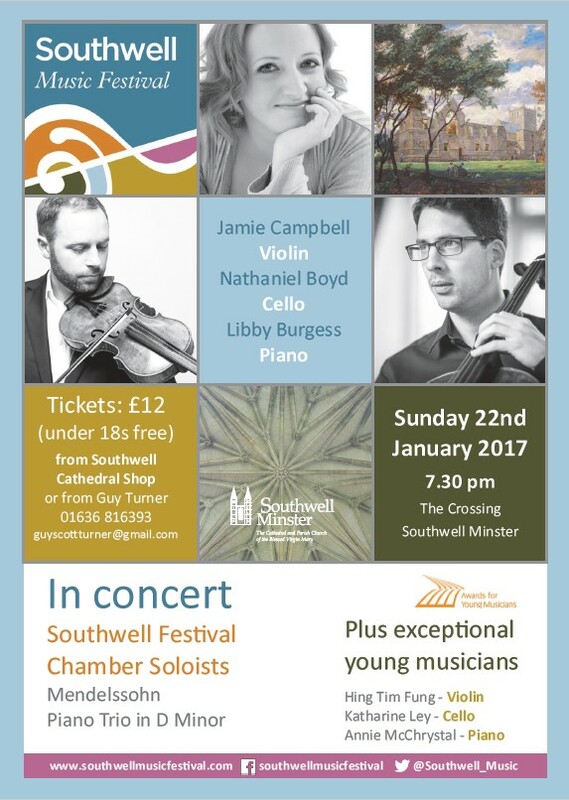 Tickets are available at the Southwell Cathedral Shop or online here. This is the time of year when Christmas gift inspiration can be in short supply. We would like to propose membership of the 2019 Festival Friends as a solution. With priority booking for Festival concerts, three highly informative newsletters, complimentary programme books and an invitation to the Friends’ reception on offer, this is an attractive option for any music lover. Prices are £50 for Bronze membership, £150 for Silver and £300 for Gold membership. You can download an application form here where you will also find details to contact the Friends Administrators. It’s that time of year again! We’ve one week to go until the 2018 Festival Launch. Our team has been beavering away for the last few months and we are excited to reveal our plans to you next Friday at Southwell Minster. In addition to announcing the programme and presenting a free concert, the Launch is a great opportunity for our Festival Community to get together. We are immensely grateful to the army of volunteers who help us to run the Festival in August and the Launch is the perfect time for you to find out how you can get involved this summer. I’m delighted that we will be joined on Friday by a number of Festival Artists, all of whom are regular visitors to the Festival. Simon has been Principal Trumpet for the Festival since 2015. 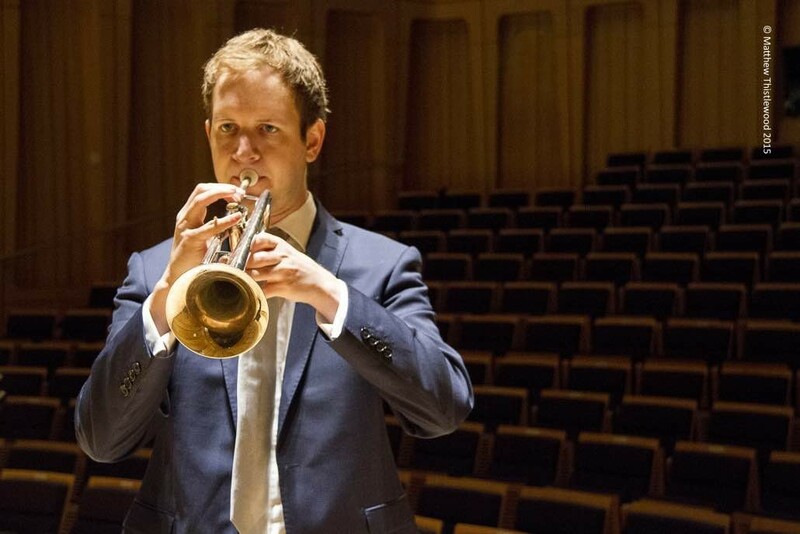 He is also Principal Trumpet of the Aurora Orchestra and joint Artistic Director of one of the world’s leading Brass ensembles, Septura Brass Septet. 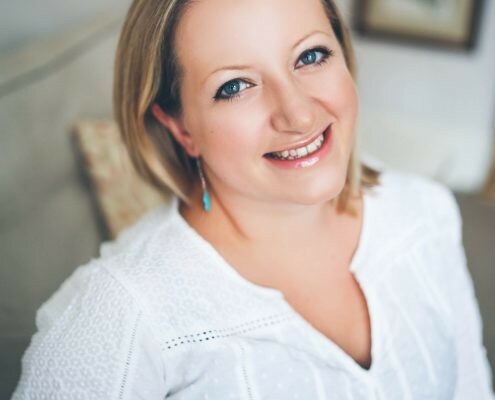 Based in London, Ruth is a busy freelancer appearing with both modern and period instrument orchestras. 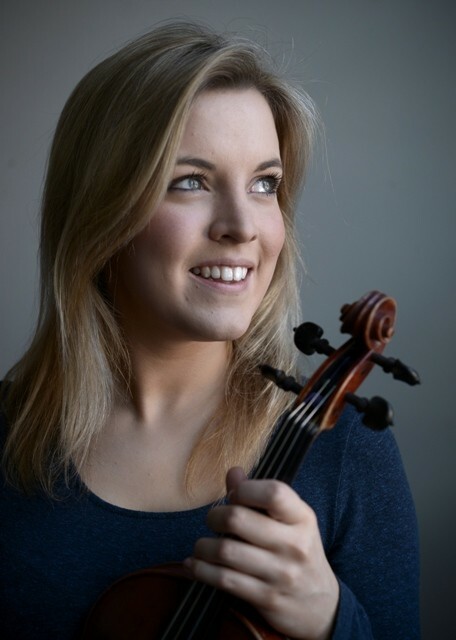 As well as being an integral member of the Festival Sinfonia Viola section and one of our Chamber Soloists, Ruth is the mastermind behind our Family Concerts. Libby needs little introduction to our audience. Something of a musical polymath, Libby has appeared at Southwell in previous years as pianist, organist, chorus master and lecturer! As I write, Libby is knee deep in her role as Artistic Director of the New Paths Festival in Beverley. At the Launch, Libby will be appearing for us with just one of her hats on as our pianist for the evening. Both Jamie Campbell and I will be sticking our musical oars in as well, so we can promise a veritable feast of musical colour on Friday! We look forward to welcoming as many of you as possible to the Minster. 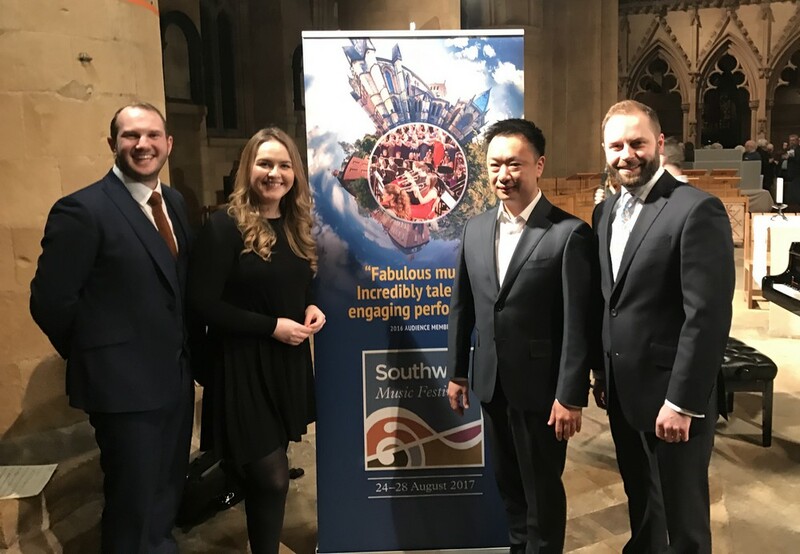 Seventy of the best professional singers and players of the younger generation will be in Southwell during the August Bank Holiday weekend to take part in the fourth annual Southwell Music Festival (24-28 August). The centrepiece of the five day programme will be an all-Mozart concert (26 August, 7.30pm) featuring multi-award-winning pianist James Baillieu performing piano concerto No. 21 C major K467, and a performance of the Great Mass in C minor K427 in which the soloists will be the critically-acclaimed soprano Sophie Bevan, a regular at the Royal Opera House and English National Opera, and mezzo-soprano Rachel Kelly, a recent graduate of ROH’s Jette Parker Young Artists Scheme. The professional choir and orchestra will be conducted by the Festival’s Founder and Artistic Director Marcus Farnsworth with the orchestra led by Associate Artistic Director Jamie Campbell. Marcus Farnsworth announced the 2017 programme at a free preview concert in Southwell Minster on 31 March and said: “I am delighted that once again we have been able to attract some of the most exciting performers from across the UK and Europe. Members of this remarkable ensemble take part in all the main concerts and give the Festival its special character. The skill and enthusiasm of these amazing colleagues, many of whom have been with us on several occasions, are among the main reasons that the Festival’s reputation has grown so quickly since the inaugural event in 2014. “The quality and variety of our performing spaces is another important ingredient in the Festival’s success and the Minster’s Quire has the perfect acoustic for our wonderful body of string players who will give their own string orchestra concert including Vaughan Williams’ Variations on a Theme of Thomas Tallis and Britten’s Les Illuminations with soprano soloist Alison Rose. “Another key feature of the Festival is to support the development of up-and-coming local musicians so we are thrilled that the 2017 programme will include a recital by the Nottingham cellist and BBC Young Musician 2016 winner Sheku Kanneh-Mason. “This year’s Festival has a strong French theme with a whole programme of chamber music, a late night performance of Poulenc’s choral tour de force Figure Humaine, and a Family Concert featuring his setting of Babar the Elephant, as well as an organ recital by Matthew Martin with a strong Gallic theme. “The contemplative atmosphere of the Minster late at night provides the setting for our first concert of baroque music – a rare performance of Buxtehude’s masterpiece Membra Jesu Nostri. Full programme details can be found here. Public booking, following priority for Festival Friends, opens on 15 May 2017: tickets can be booked online here or by phone on 0115 989 5555. 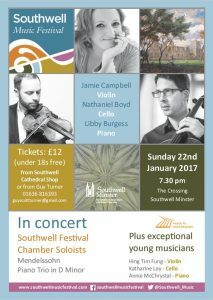 One of the founding principles of the Southwell Music Festival is to support and encourage the emergence of new performing talent. An exciting new partnership with the enterprising charity Awards for Young Musicians (AYM) will enable us to extend that principle. Tickets (£12) are available from the Southwell Cathedral Shop or from Guy Turner on 01636 816393 or by emailing guyscottturner@gmail.com . People aged 18 and under are admitted free. During the day the young musicians will work with our Festival musicians on their contribution to the evening concert and this will include a public masterclass in the State Chamber (2-4pm) to which admission is free (no tickets required). They will be coached on their solo pieces and also in ensemble playing (they will never have played together before) in music by Frank Bridge for piano trio. Their solo repertoire will be by Beethoven, Mozart and Rachmaninov. Awards for Young Musicians believes that all musically talented young people should have the opportunity to develop their talent: AYM helps children and young people with exceptional potential from lower income backgrounds achieve their musical goals. Proceeds from the concert support AYM’s work in the Midlands. Information on AYM is available here; the flyer for 22nd January can be downloaded here.